Yeske Buie has long supported the Foundation for Financial Planning, the nation’s only nonprofit charity solely devoted to supporting the delivery of pro bono financial planning. We believe so strongly in the importance of the work that they do that we’ve consistently given our time, our talent, and our treasure to the organization for over a decade. Through our involvement with the Foundation, we had the privilege of meeting a young family whose life had been upended with the terrible news of a cancer diagnosis. Listening to this couple tell their story, we were indelibly drawn to help them in whatever way we could; and the Foundation’s Pro Bono for Cancer Campaign made that desire a reality. It’s been an honor to participate in this initiative and a privilege to work with this family. Working with Mike and Leslie made me appreciate the role I play as an objective advisor, dedicated to instilling confidence in a family faced with many difficult and sometimes overwhelming financial decisions. We provided the structure and offered our skill-set, but it was Mike and Leslie who ultimately drove the work. 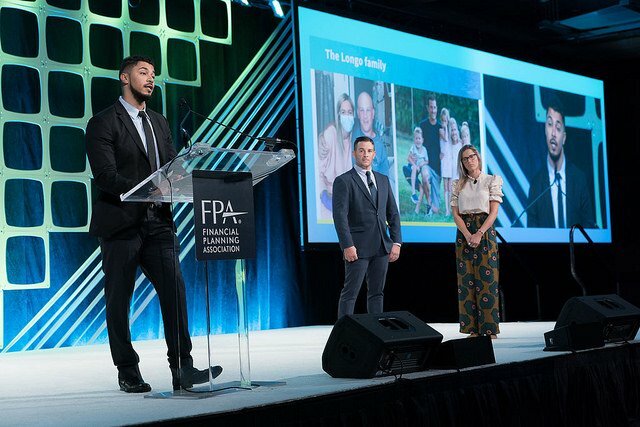 Not only did they display a willingness to embrace the financial planning process, but they also took significant steps during the engagement to improve their financial situation. I am grateful for the small role I’ve played in Mike and Leslie’s story – to have been able to combine our support and reassurance with their incredible courage and diligence. It’s meant so much to me to partner with them as they navigate the continuing financial challenges brought about by Mike’s diagnosis. As is the case with all of our Clients, we appreciate the opportunity to continue building our relationship with Mike and Leslie; hoping to be an anchor during life transitions and a sounding board for ideas and questions that arise along their journey. To repeat Yusuf’s sentiments, it is an honor and a privilege to be welcomed into the lives of Mike, Leslie, and all of our Clients. We receive such an invaluable gift by planning with each and every one of you.